You know the saying, “what goes up must come down?” Well, in an unusual way, it applies to our local lakes. This autumn time of year, the water in our lakes gets turned upside down. How can this be? Gravity combines forces with water density in a natural phenomenon known as lake turnover. Let’s take a look at what this means! Before we talk about what is happening in our local lakes, let’s do a quick review of water density. We know that water as a gas is steam, and when cooled, it condenses to water. As water chills, it becomes more and more dense until it reaches 4° Celsius—the temperature of water’s maximum density. One of the tricky bits about water, though, is that as it freezes to ice, it becomes less dense. This is unusual when compared to other gases, liquids, and solids, but it’s very important in nature that solid water (ice) is less dense—that means ice floats above cold water, which protects aquatic species in winter. Now remember, we mentioned gravity in the beginning: when it comes to water, cold water will sink because it is more dense. 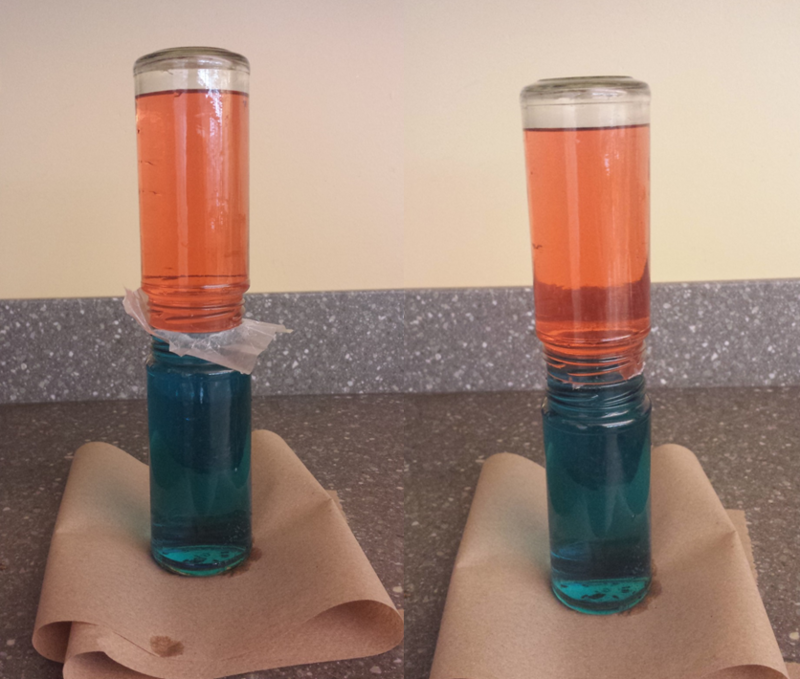 Warm water will remain in the upper layer because it is less dense. So what does this all mean for lakes? Well, if you picture a cross section of a lake, you can divide it roughly into three layers: the hypolimnion on the bottom, the thermocline as a middle layer, and the epilimnion as the top layer of water (the name of the process that forms these layers is thermal stratification). During the summer, the epilimnion will be the warmest since it is closest to the sun and the dense cold water will stay at the bottom. However, in the fall and spring, a critical process called lake turnover occurs. Simply put: lake turnover is a process by which water at the surface of a lake, cooled by the chilly weather, sinks towards the bottom of the lake, displacing the water at the bottom. That water from the bottom then rises up to the top. This results in a slow “turning over” of water throughout lake. This turnover process can vary a bit, depending on the size and features of the lake, but is very important! Through the gentle churning of water “turning over,” nutrients in the water are distributed throughout the lake instead of simply laying on the bottom. This ultimately helps provide oxygen and nutrients for the wide variety of organisms living in any given lake. Put one drop of red food coloring in one jar and one drop of blue food coloring in the other jar. Fill the “blue” jar with cold water all the way up to the very top of the jar. Now fill the “red” jar with very warm water (not uncomfortably hot, just very warm). Now is where a steady hand is important! Place a square of parchment paper over the mouth of the warm water jar, completely covering the opening. Now, very carefully turn the warm jar upside down, and align the rim of the warm jar over the rim of the cold jar. Next, the tricky bit is to very carefully and slowly pull the parchment sheet out from between the two jars so the water will be in contact. What you should be able to see is that the water in the warm jar stays up high and the water in the cold jar stays low. You could also try this with the cold water on top, but you will mostly likely not be able to track the path of water as the two colors will just turn purple.